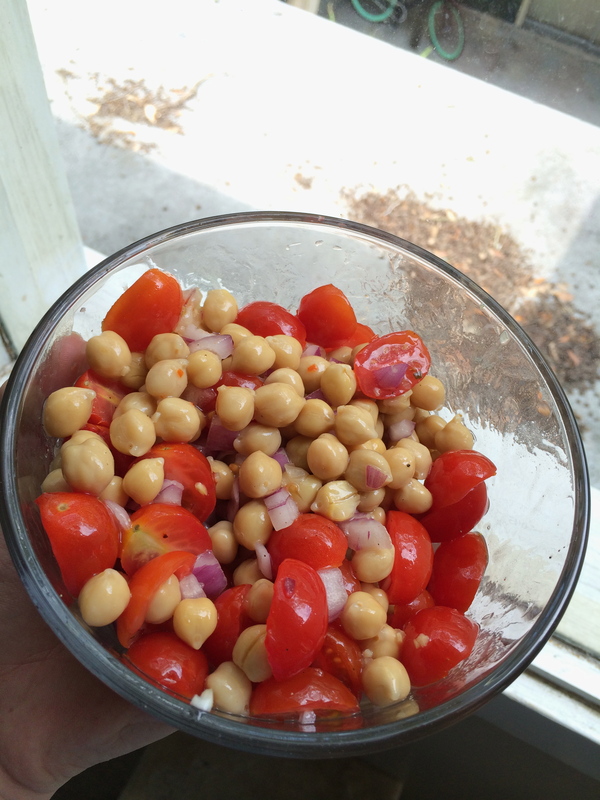 I’m kind of obsessed with this easy lunch salad. It’s so simple and can be enjoyed multiple ways. Make a big batch and enjoy it all week! 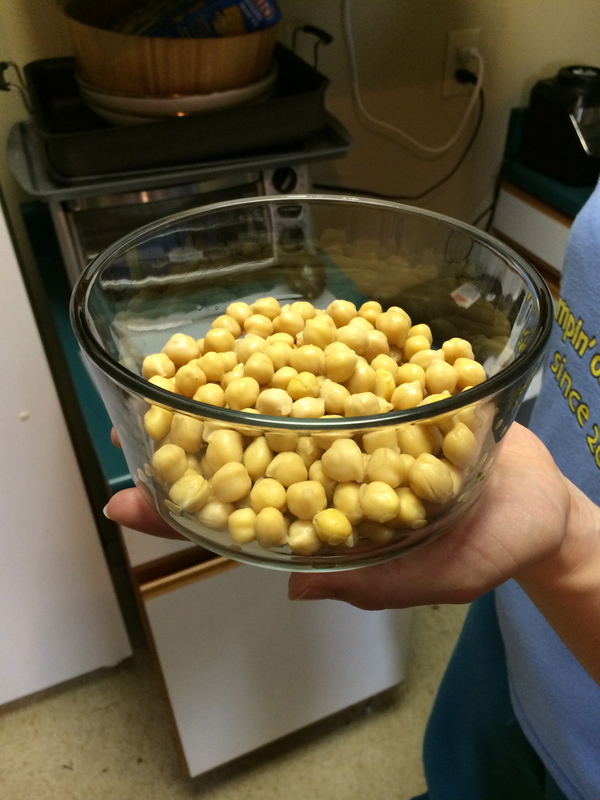 First, pour some chickpeas in a bowl. 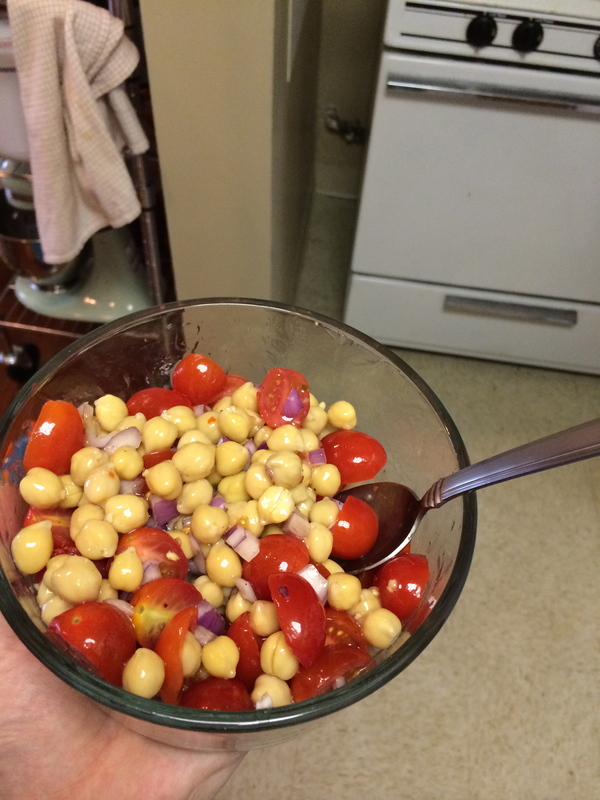 Then, some cherry tomatoes. 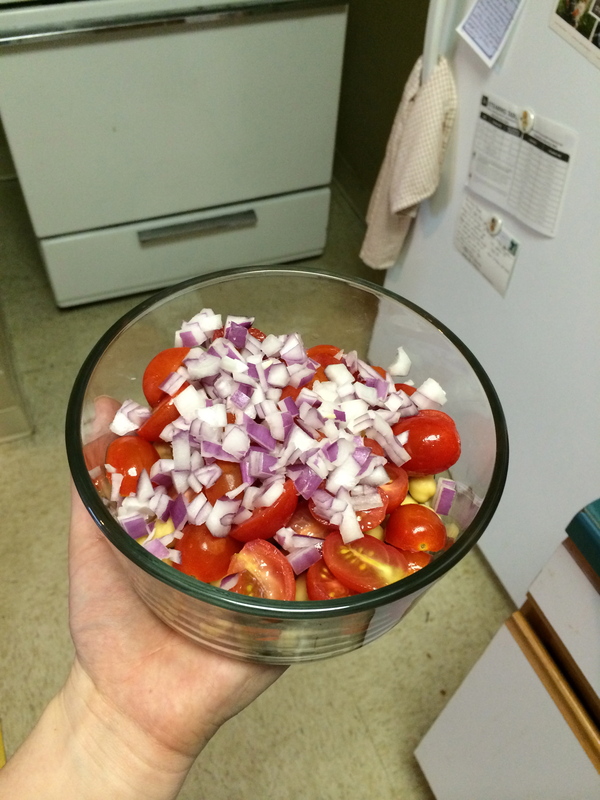 And some red onions. 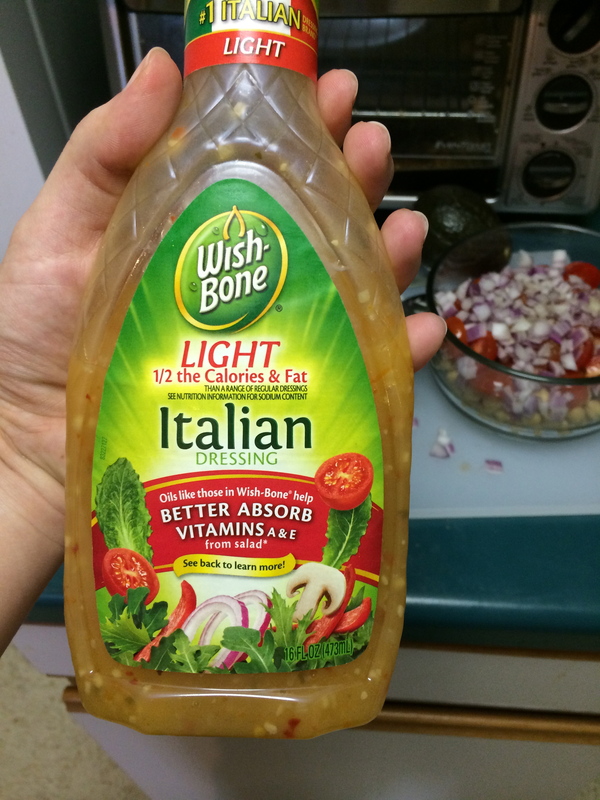 (See I told you it was easy) Then add a bit of salt and pepper, splash of lemon juice, and some Italian dressing. 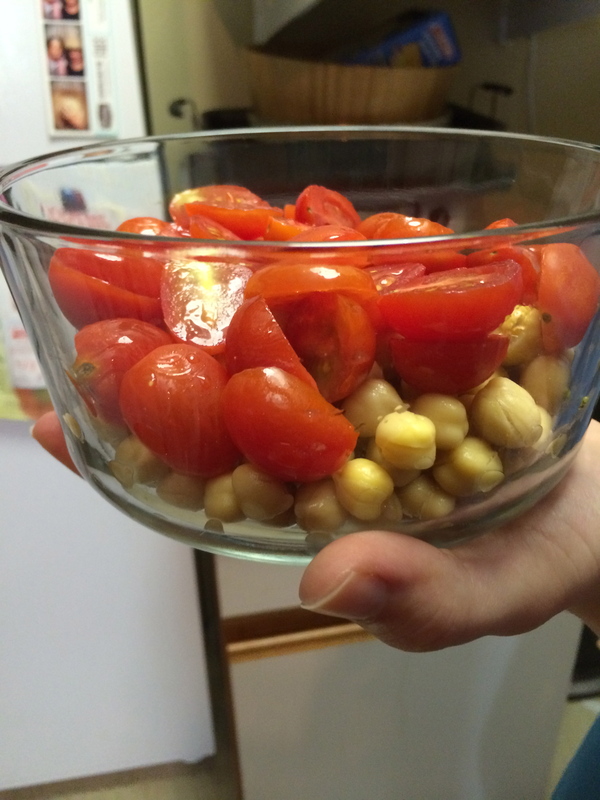 Then mix it up, and store in the fridge in an airtight container. That’s it! You can eat it straight from the bowl, over mixed greens, as a side dish to meat, so many ways!! I’ll share my favorite way to enjoy it next week! Thanks, Dallas! I hope you like it!